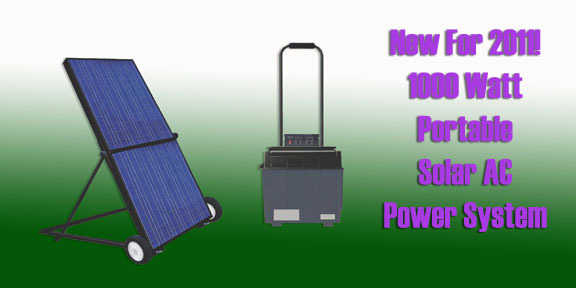 Coming Soon: Portable Solar AC Power Systems! Our Founder, John Fuhrmann, has been in the renawable energy business since 2006, when he opened an electric vehicles business in California. Portable Solar Energy Systems has been in the planning and development stages for the last year and has now culminated with the launch of the current site in late 2010. Copyright © 2010 portablesolararray.com. All rights reserved.